In the medical world, it is routine to get a second opinion. Most doctors take no offense to this, nor should they. However, in the world of financial advisors, a second opinion is rare. If you’ve never had a second opinion, I highly recommend it. In this episode I talk about several ways to get a second opinion and discuss the four reasons you should consider getting a second opinion. Listen to the podcast here or it is available via the traditional podcast outlets, ITunes, Overcast, Acast, Stitcher, Google Play. Enjoy! [00:00:20] This episode is sponsored by Firstmetric, a low-cost investment advisory firm that provides investment planning and portfolio management services using index funds from Vanguard and Dimensional Fund Advisors; among others. Scott Salaske is the CEO of Firstmetric and host of the Seeking Wealth podcast. 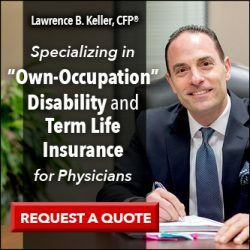 He has 20 years of experience helping physicians and other professionals make the switch to an indexing investment philosophy. 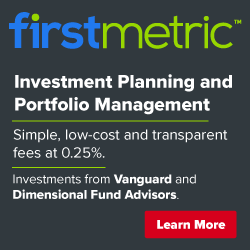 To learn more about how Firstmetric can help you lower your investment fees and start using index funds visit their website at www.firstmetric.com. [00:01:20] The course is selling great. We’re super excited about the conference coming up the first weekend in March. [00:01:50] Today we’re going to talk about second opinions. I’ve written a post about them before. [00:02:48] The first one is that there is a very good chance that you are getting bad advice. [00:03:43] The second reason is because you’ll feel better afterwards. [00:04:34] The third reason is that you are likely to lower your fees. [00:05:51] And the fourth reason is that you are probably going to improve your financial plan and position. [00:06:21] There is really three ways to get a second opinion on your financial plan. The first one is to go see a fee only adviser. 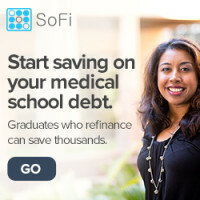 [00:07:01] Another cheaper less hassle way to get a second opinion is to post your financial plan on a forum. [00:08:10] A third option for getting a second opinion, is to do it yourself. [00:28:22] Be sure to give this podcast a rating. Sign up for the newsletter and get our the 12-Step financial boot camp series emailed directly to your e-mail box all for free. [00:00:20] Welcome to podcast number 41, second opinions. This episode is sponsored by Firstmetric. 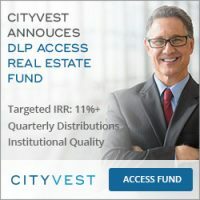 A low cost investment advisory firm that provides investment planning and portfolio management services using index funds from Vanguard and Dimensional Fund Advisors among others. Scott Salaske is the CEO of Firstmetric and host of The Seeking Wealth podcast. He has 20 years of experience helping physicians and other professionals make the switch to an indexing investment philosophy. To learn more about how Firstmetric can help you lower your investment fees and start using index funds, Visit their website at WWW. First metric dot com. [00:00:59] Our quote of the day today comes from Charlie Ellis who said if you must play the market to satisfy an emotional itch recognize that you are gambling on your ability to beat the pros. So limit the amounts you play with the same amounts you would gamble with the pros at Las Vegas and keep accurate results, accurate records of your results and you’ll soon persuade yourself to quit. [00:01:20] We’ve been having a great time here at the White Coat investor these last few weeks. Our online course is selling great. 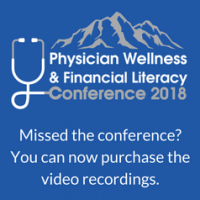 We’re super excited about the physician wellness and financial literacy conference coming up the first weekend in March. And it’s really been quite an quite an exciting time for us. 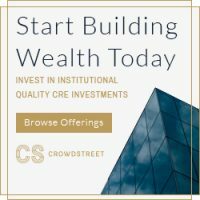 Hopefully you’ll have a chance to check out one of those two options which are kind of our premium options here at the White Coat investor to give you a more intensive experience than you can get from just the blog or the podcasts or the book. [00:01:50] Today on the podcast we’re going to talk about second opinions and a second opinion is something that I think is really important. This is something that we get all the time in medicine or rather our patients get all the time in medicine but not something that has done nearly as often in the financial world which is unfortunate because it’s far more necessary in the financial world than it is in the medical world. 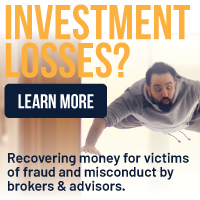 [00:02:13] It’s it’s pretty darn rare though and I understand why it’s a big deal to the advisers to have their clients go for a second opinion because so many of them never come back. And the reason why is because most advisers aren’t giving good advice. And so this second opinion if you’re the client maybe retirement saving. So if you have an adviser and you’ve never had a second opinion I highly recommend you go get one. [00:02:38] I’m going to talk about several ways to get a second opinion In today’s podcast. But first I want to discuss the four reasons you should consider getting a second opinion. [00:02:48] The first one is that there’s a very good chance that you’re getting bad advice. The vast majority of people out there who call themselves financial advisers are commissioned salesmen in disguise, their selling mutual funds. They’re selling insurance products. They’ve had very little training and any sort of financial topics. Their training is in sales for the most part. And so last year they were selling used cars. This year they’re selling insurance. That’s not the kind of person you want to be taking financial advice from. [00:03:20] Just because they might know a little more than you that’s really not enough for you to be paying them what it costs to get financial advice. There really is no price low enough for bad advice. So if you’re not certain that your adviser is a competent experienced Fee only adviser that’s a great reason to go get a second opinion. [00:03:43] The second reason to get a second opinion is because you’ll feel better afterwards. Not all advisers give bad advice and if you go and get a second opinion on that portfolio and they basically say you know what your guys doing a great job. You know I might make a little tweak here tweak there. But basically you’re doing fine. Look now you no longer have to worry about whether you’re one of those people getting bad advice. So I think it’s a great thing. Even if you have a good adviser to go get a second opinion. If nothing else they may point out something that you want to talk about with your real adviser and that can help you to learn a little bit more about your money and what you can do to optimize it. I mean ideally you want to find out that your adviser is awesome and that your fees are fair. But I still think you know a couple hours of your time and a few hundred dollars you might have spent on a second opinion as is time and money well spent. 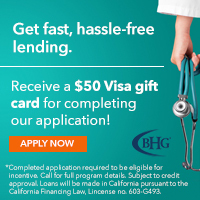 [00:04:34] The third reason to get a second opinion is that you’re likely to lower your fees. Most clients even those getting good advice are paying too much for the advice and it’s inertia really that locks us in from leaving. You know we start out when the asset under management fees are 1 percent and we don’t have much of a portfolio and so the total cost really isn’t very much. But as your assets under management grow that cost gets higher and higher and higher every year. And so one benefit of knowing of two good advisers is that you’re in a much better position to negotiate fees. You can basically say either you lower these fees to what the other guys charge or I’m going to the other guy and that is very easy for you know an adviser to understand and occasionally say great I’m not willing to work for that. You go see the other guy and that’s fine because you’re perfectly happy with the other guy but most of the time they’ll match their fees and you’ll end up saving a few thousand dollars in advisory fees every year. 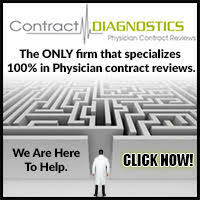 I’m amazed how few physicians negotiate their advisory fees. And it’s really great for the advisers but not so great for the physicians because most advisers especially somebody they already know they’ve already dropped their financial plans. They already have their asset management on autopilot. You know they’re more than willing to drop their fees rather than lose the client. [00:05:51] And finally the fourth reason why you should get a second opinion is that you’re probably going to improve your financial plan and position. Remember that adviser that’s doing the second opinion is doing their darndest to impress you they’re going to pull out all their best ideas. So even if you don’t hire that person for the long term the chances are good you’re going to learn something new that you and your old adviser can now implement in your financial plan. And that’s one reason why I wouldn’t mind paying a fee for that second opinion. It’s likely very valuable. [00:06:21] So there’s really three ways to get a second opinion on your financial plan. The first one is the one I’ve been referring to throughout the podcast and that is to go see a fee only adviser. There’s lots of them out there and they all spend a pretty significant chunk of their time marketing and prospecting and trying to find new clients and so they’re more than willing to meet with someone that would consider you know coming to see them and so they might oftentimes they even meet with you for free because this is such a super high yield way for them to build their practice. And so that’s an easy way to do it. You can go see another fee only adviser and get that second opinion. 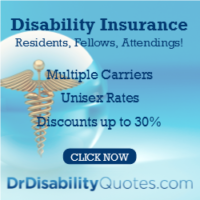 [00:07:01] Another cheaper less hassle way to get a second opinion is to post your financial plan on a forum. You come to the white coat investor forum or the Bogle heads forum and you post your financial plan and everybody goes who is giving you advice?! You know you need another adviser. If they just say yeah looks like a reasonable plan and you’re not paying too much if you really want the adviser you can keep the adviser then you know at least you have a good plan. You’ve gotten a second opinion. But the best part about that is you might get multiple second opinions. You know you may have a couple of dozen people weigh in on your portfolio. [00:07:36] And while we all have something a little bit different to say it’s very obvious to people who spend time on financial forums when they’re looking at a crappy financial plan from a crappy financial adviser and they are not going to hold back on you and they’ll tell you exactly what they think about it. Just realize that they’re a little bit biased in that they tend to be do it yourself investors and a lot of them think well it’s absolutely insane to pay any financial adviser ever for any financial advice. So you have to read between the lines a little bit there and consider the sources of the opinions. And of course those opinions may be worth exactly what you paid for them. [00:08:10] But here’s a third option for getting a second opinion, to do it yourself. Go back and start over knowing what you know now and start your search for an adviser all over again. 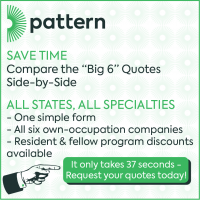 Would you still hire the same guy or gal? Write down the services you want an adviser to provide, the philosophy you want them to have, and how much you’d like to pay. Then go looking for someone who meets that description. Ask probing questions review your advisers ADV2, do a little bit of self education about personal finance and investing. Are you still happy with your adviser. Great. 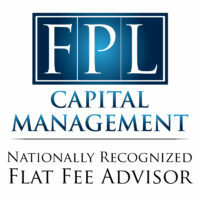 Are you ready to negotiate your fees lower. Great. Are you now ready to do it yourself. That’s fine too. There are really no bad outcomes to spend the time to spending the time doing this. [00:08:56] And so I think second opinions are a great way to improve your financial plan and your situation and I think if you’ve never done this before and you’ve had an adviser for years I think as an exercise well worth doing and hopefully you come back and realize it you’ve been getting good advice at a fair price all along but if not at least you’ve done it as early as you possibly could. [00:09:16] All right we’re going to go through a few questions today. We’ve got a number of them. 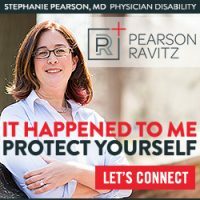 Some of them left over from our last podcast with Physician on Fire we just had such an overwhelming response on social media that we couldn’t get to all the questions during that lengthy episode. So we’ll get to a few of those today as well as some other ones I’ve had by mail. [00:09:35] All right here comes the first one. My new employer for July says I can’t contribute to their practices 401k until I work x hours which won’t be until 2019. Is this a 401k thing or practice specific thing? If true and since we have more than enough these days should I put eighteen thousand five hundred into my 403 b for 2018 by maxing out during the last six months of residency. I don’t think that extra 10 0 0 0 will make a difference in the house down payment or mortgage. We should be able to still get 20 percent down. Also can I ask my new practice to let me start getting the 401k right away if I roll my 403 b from residency there? My residency didn’t match my contributions and while the funds are good I wonder if there is any incentive from my practice to have my money in their 401k. [00:10:23] Well let’s do the second question first. They’re not going to give you any special break just because you roll over a 50000 dollar 4O3b into the 401k. That’s just not going to happen. So don’t count on that. It’s just not going to make that big of a difference in their fees. [00:10:37] And they have to follow the plan document for the plan which if it doesn’t allow you to participate until you’ve been there x number of hours or X number of months or whatever it is you just can’t do it. And so some 401k is will let you contribute right away as soon as you join a practice or as soon as you start work on a job. 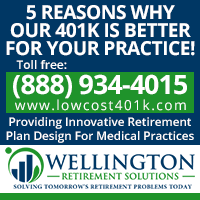 But it’s not uncommon at all for you to have to be there a year before you can start contributing and so that is a practice specific 401k plan document thing is not necessarily an IRS rule but if that’s the way your 401k is that’s the way your 401k is. And so that’s unfortunate If you can’t use one. 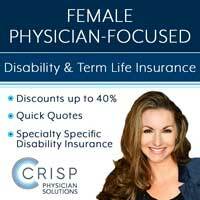 [00:11:15] But you certainly can max out your 403 b from residency in that year that you leave residency and that’s a great option. It’s also a great option if that for 4O3b doesn’t have a Roth option to convert that for 4O3b during those first six months of attending hood and that’s a relatively low cost time to do a Roth conversion and really get your tax free accounts boosted early in your career. So I’d consider doing that rather than worrying about the fact that it’s going to be a few months for you can use your new employer’s 401k. [00:11:50] OK here’s another question, wondering if it would be beneficial to invest in real estate deals through a Roth IRA or for that matter if you are making a big bet on an investment wouldn’t be more ideal to do so through your Roth IRA for example if you bought a thousand dollars in cryptocurrency through your Roth and it went up to eleven thousand dollars You’d have all that tax free but if you lost your 1000 dollars you didn’t lose all that much? If you did so through a taxable account you’d be paying taxes on the ten thousand dollars profit. [00:12:23] So two questions here one should you invest in real estate deals through a Roth IRA. Well Roth IRAs are great. I think they’re wonderful I’d maxed mine out have been doing it since I was a resident. We’ve actually got a fair amount of money in Roth IRAs now. It’s not you know millions in Roth IRAs but it’s certainly several hundred thousand dollars. And so I think they’re beautiful things I liked have good returns in them so they get even bigger. But there’s a couple of things I don’t do in a Roth IRA. Both of which this particular questioner is asking about. The first is I don’t put equity real estate deals into IRAs. And the reason why is it just gets complicated. There’s a lot of forms and a lot of hassle and a lot of different ways in which you can or can’t use the real estate if it’s property like to use as well when it’s inside a Roth IRA. And so for an equity deal I prefer to keep it in a taxable account. 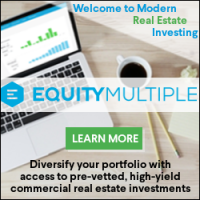 Not only does that simplify all the hassles but it also allows you to really take advantage of depreciation to shelter the income from that real estate investment. And so I think as far as an equity deal keep it outside your IRA. As far as a debt deal you know for example a hard money loan. Those are terribly tax inefficient investments and also tend to have a decent return. You know six to 12 percent. [00:13:48] And so that is by definition the ideal thing to have inside a tax protected retirement account, high return, tax inefficient that goes into retirement account whenever possible. Now there is a certain amount of hassle factor but that can be minimized by using a checkbook IRA or you’re just writing checks out of it and then have the money when the yields are paid on that investment go back into that IRA. You know the savings account or whatever the checking account is within the IRA. And so I think that’s probably worth the hassle to invest through an IRA in order to save the taxes on that sort of investment. But I wouldn’t do it necessarily on just any real estate investment. For example if I bought a property down the street I would try to avoid doing that inside a Roth IRA. [00:14:36] Finally this question about these big bets like on cryptocurrency. Well sure if you’re going to invest in something and you know it’s going to go up 11 x in a year of course you’d want that in your Roth IRA. Right. Who wouldn’t want that in the Roth IRA? The problem is a big bet also usually has a big chance of loss. You know as I record this I think there was a drop in bitcoin of like 50 percent in the last week or two. And so you know the problem when you lose money in a Roth IRA is you’ve lost that Roth IRA space forever and you can’t compound for decades because you lost the space when you lost money inside the Roth IRA and so losing money there is bad because you lose the space. And it’s also bad because you can’t take that loss against your ordinary income. [00:15:25] So if I was going to make some sort of a speculative bet I would prefer to make it in my taxable account and if it goes up wonderful you know if I hold on to it long enough hopefully I can get some favorable long term capital gains tax rates on it. And if it goes down I can take those losses against the gains of my other investments and up to three thousand dollars a year against my other income. And I think if I was going to do a lot of speculation that’s how I would prefer to do it is inside a taxable account. [00:15:56] That said I recommend you don’t speculate. Go buy investments that you’re comfortable holding for years and years and years and stay away from betting with your investments. This really isn’t a great habit to get into. That’s not what investing is about. And so I recommend you stay away from speculative stuff to start with. [00:16:15] All right here’s another question about a Roth IRA. I have funds in a vanguard Roth IRA that I maxed out yearly through the back door. 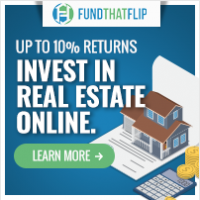 Can you invest the funds in syndicated or crowdfunded real estate deals? I thought you had to pick the funds the Vanguard offers? I know they offer real estate investment trusts but I’m working to increase the real estate portion of my portfolio and avoid high correlation with the stock market. [00:16:37] That is a little bit related to that Last question. At Vanguard if you open your Roth IRA there you can’t invest in syndicated or crowdfunding Real estate deals with that money and that’s just because it’s not what’s called a self directed IRA. If you want to invest in real estate in an IRA you need to go someplace that offers a self directed IRA. The downside it’s usually not nearly as convenient to open as it is opening an IRA at a Vanguard or a Fidelity or a Charles Schwab and it usually comes with significantly higher fees and part of that’s because you’re not investing in their investments so they need to make money somewhere and part of it is simply that it’s more complicated to be sending that money around between a couple of different institutions. So they have to charge enough to stay in business. So don’t expect to be able to invest in real estate through your Vanguard IRA unless you’re interested in the vanguard Real Estate Investment Trust Index Fund. [00:17:36] This one came in from Twitter I believe from Scott Klein. This is one of those we didn’t get to on the Physician on Fire podcast. 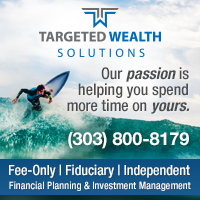 I’d like to hear your thoughts on when there may be a strategy or time in your life and career when you might for go 403 b or 457 contributions and instead pursue other investments. I’ve read about diversifying taxable and nontaxable with real estate etc. But I’m not sure it’s worth losing the tax benefits. [00:18:04] That is a fantastic question Scott and one that I’ve wrestled with for years and my solution to it For years when I didn’t have enough money to do anything but maxed out my tax advantaged retirement accounts was to simply not invest in anything I couldn’t invest Inside those accounts and so I just didn’t bother to invest in real estate in this other kind of stuff that really belongs in a taxable account. [00:18:31] That said that’s not necessarily the right answer. If you can make 25 percent a year in some real estate deal that just looks awesome that’s probably worth passing up a contribution to a 403B account even with the tax arbitrage and the tax benefits and the additional estate planning benefits and asset protection benefits that you get in your retirement account. [00:18:56] But if you’re looking at you know some real estate debt deal where you get paid 6 percent and you’re going to keep three and a half percent after taxes and you’re passing up the tax breaks available by contributing to a 403 b. I think that’s probably a mistake. [00:19:11] With the 457 like With any 457 it depends on how good the 457 is. If the 457 doesn’t have very good distribution options or if the employer looks like they’re going to go out of business sometime soon. Well I wouldn’t invest in that 457 at all. I would go invest in taxable and you know if you want to invest in real estate that’s fine. But you know you’ve got to remember with the 457 it’s not your money until it’s your money just putting it in the account it’s still your employer’s money and is susceptible to your employer’s creditors. And also bear in mind that many 457 do not allow you to roll the money into the IRA into an IRA or another 401K when you leave the employer. You basically have to take it in cash and pay the taxes on it. [00:19:57] OK. Next question this one comes in from Eric on Twitter. He says My doctor mistake was purchasing a variable annuity with a 3 percent annual management fee. It does have a rider for a guaranteed withdrawal amount. How do I decide if I should keep it or not? [00:20:12] Well I guess I’d look and see what the guaranteed withdrawal amount is and see what that return is. But typically when this sort of an insurance based investing product provides a guarantee they’re not guaranteeing much and chances are the guaranteed return is really the equivalent to only getting 2 percent or so. That’s almost whole life policies held for your entire life guarantee. Now they project a little bit higher returns than that but your guarantee is actually pretty low. You’ll be lucky if it even keeps up with inflation. [00:20:43] And so when I see a variable annuity with a 3 percent annual management fee I mean that’s ridiculously high. When I see that sort of a thing you know I’m basically running the other way. Not only would I not buy it but if I had already bought it I’d get out of it as soon as I can. Now you may wish to exchange this, your cash value in this bad variable annuity for a good variable annuity like the lower cost ones available of Vanguard and then wait until the value of the annuity grows back to the total of your basis, the total of the contributions you made to this variable annuity in the first place. Then you can cash out and have no tax consequences so that is a smart way that some people make a little bit of lemonade out of lemons. But I don’t see any reason to stay in a variable annuity that is charging you 3 percent a year as a management fee. That is just a product designed to be sold not bought. [00:21:39] OK. This one comes in from Facebook from Amanda Albertson says my spouse is a medical student we have 6 months of bills saved in our emergency fund. That’s great. Should we keep a smaller emergency fund and Max out our Roths over the next few years while he is a medical student knowing that in the worst case scenario we could pull the contributions out of our Roths tax and penalty free if we really need it. Well that’s kind of an interesting question from a medical student family. They don’t mention any debt here which makes me wonder what’s going on in their lives student loan wise. I mean if this 6 months of savings they have in their emergency fund is really just money that they borrowed from the school or the federal government through the school. I think that’s probably a mistake to have that much cash sitting around when you’re actually paying interest on it. So I would definitely keep a smaller emergency fund if that were the case. 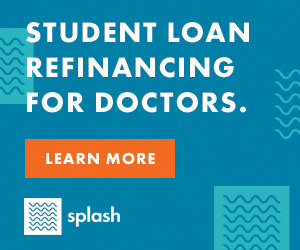 [00:22:37] But if you know they’ve got enough money to be paying cash for medical school or some sort of a scholarship or M.D. Ph.D. program or HPSP program or something like that then sure it’s okay to keep an emergency fund. 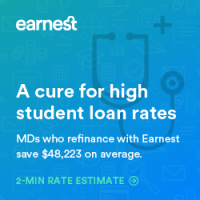 I probably still wouldn’t keep a 6 month emergency fund as a medical student especially knowing that I’ve got those you know stipend payments coming in or that I’ve got the cost of medical school covered already from savings or a family member and so I’d probably lean toward a smaller emergency fund. [00:23:06] Now as far as whether you can put money in a Roth IRA you have to have earned income to put money in a Roth IRA. And if the spouse is working or the medical student has some part time work or something then sure you can contribute to a Roth IRA. That’s always a good thing to do. [00:23:21] It’s never bad and it’s true that you can pull out in a worst case scenario your Roth IRA contributions tax and penalty free any time you can’t pull out the earnings but you can pull out the contributions. So I think that’s a smart move to rather than pass up contributions to a Roth IRA and keep a big ole emergency fund is to put some of that money into the Roth IRA. If you still want to treat it like an emergency fund Just don’t invest it aggressively. Put it in a bond fund or even some sort of money market fund if you want but preserve that Roth IRA space by getting something into it. So I think that can be very smart. But you know bear in mind you have to have earned income to put money in a Roth IRA and you know it’s not really an emergency fund if it’s borrowed. [00:24:08] Another one from Facebook this one from Jeremiah Meeks who asks Can front loading your 4O3b along with a company match Early in the year hurt the company match when your contributions are limited to eighteen thousand five hundred dollars at the end of the year? And the answer to this is yes but it really depends on the employer and that 4O3b plan document. So get a copy of that and read it. Sometimes if you put all the money in in January in order to keep your money in the market and keep it compounding for as long as possible you will miss out on part of the employer match. [00:24:41] But other employers do what’s called a true up and at the end of the year If you put in the maximum amount that you can put in they give you the maximum match and it doesn’t matter when you put the money in. But you need to talk to H.R. and or read the plan document to figure out which way your company treats that and then act accordingly. [00:25:01] OK. This one comes in a Facebook as well. I’m probably going to butcher this name. It comes from Pradnya Mhatre. I have just one traditional IRA which I made five thousand dollars a while ago and is now six thousand five hundred. Congratulations. If I converted to a Roth IRA now I will end up paying a high tax on only fifteen hundred dollars. Correct. Well I don’t know if the tax will be higher or not it depends on your tax bracket but yes you’ll have to pay tax on that fifteen hundred dollars when you make the Roth IRA conversion. Can I put in 5500 dollars for 2017 and 2018 now and convert those to Roth IRAs as well. Yes you certainly can. So that’s a good idea to do that. That’s what is known as the back to a Roth IRA. [00:25:43] Which brings us to our last question today from Bradley Haas who says How do you set up a backdoor Roth IRA. Well step one in a backdoor Roth IRA is open a traditional IRA as some sort of mutual fund provider or other brokerage such as Vanguard. Next you put in your contribution into the traditional IRA. If you’re under 50 that’s five thousand five hundred dollars. If you’re 50 or older that’s six thousand five hundred dollars. You can do a separate one for your spouse as well Based on your earnings. [00:26:13] Then the next step is to convert the money in that traditional IRA into a Roth IRA. In essence that means you’re transferring it from a traditional IRA to a Roth IRA and that’s it. That’s the Backdoor Roth IRA. The one caveat you need to keep in mind is what’s called the pro-rata rule. And this comes from the form that you use to report this transaction to the IRS. It is Form 8606 and because lines 6 on that form asks about how much money you have in traditional IRAs, SEP IRAs, and simple IRAs on December 31 of the previous year you need to make sure the answer to that question is zero. [00:26:57] You’ve got two ways to do that. One is to convert that money to a Roth IRA and pay any taxes due on it. And that’s probably the best solution if your traditional IRA or SEP IRA is small or two roll that money into a 401k either your employer’s 401k or an individual 401k if you have some self employment money and both of those allow your traditional IRA, SEP IRA, and simple IRA balance to be zero at the end of the year to avoid getting caught with that pro-rata rule. [00:27:28] It really seems complicated at first but after you’ve done it once or twice as just a chore you do once a year to get your money into your Roth IRA. I wish Congress would change the rules so that you could do it directly. But I suppose they’re just as likely to close the back door as they are to make it easier for you to contribute directly. [00:27:48] This episode of the podcast was sponsored by Firstmetric. 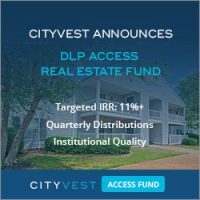 A low cost investment advisory firm that provides investment planning and portfolio management services using index funds from Vanguard and dimensional fund advisors among others. Scott Salaske is the CEO of Firstmetric and host of The seeking wealth podcast. He has 20 years of experience helping physicians and other professionals make the switch to an indexing investment philosophy. To learn more about how Firstmetric can help you lower your investment fees and start using index funds, Visit their website at WWW. FirstMetric dot com. 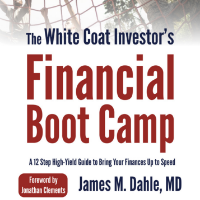 [00:28:22] Be sure to sign up for the newsletter at Whitecoat investor dot com to get not only the free monthly newsletter but the blog post as they’re published on the blog and the free 12 step Financial Boot Camp e-mail series. Head up shoulders back. You’ve got this, you’re not alone. We’re here to help. See you next time. Nice. You would be surprised how fast a second opinion can take. I was running on the treadmill with colleague I had not seen for a while at a meeting. He picked up right away that he was paying an adviser 1 percent, and the adviser was buying him a load fund. All in a 30 minute treadmill run. A quick second opinion can save you hundreds of thousands. The problem is, most people reading this blog don’t need a second opinion. Its the ones that are not reading this blog—the guy on the treadmill. You’re mistaking the commenters for the readers. 20 people leave a comment. 10,000 read the post. There are plenty of readers who could benefit from a second opinion. I just finished reading “the simple path to wealth” by JL Collins. Also finished the article you recommended. I have decided to invest in VTSAX. Your index fund suggested that dividends automatically get reinvested in index funds, which is not a good idea to do so in a taxable account, so I am going to opt out of reinvesting my dividends but stick with the index fund. I reinvest in both ETFs and mutual funds in tax protected accounts, but not in taxable for the reason you cite. 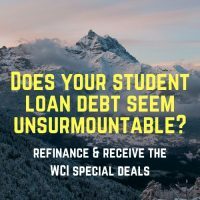 I generally think of myself as pretty solid on my personal financial management, but I benefit significantly from the “second opinion” offered in the WCI blog. I can think of four conversations that helped me with perspective: social security; backdoor Roth; safe harbors for rental properties; and target retirement funds as automatic re-balance mechanisms. Not just with Jim, but also the guest posts and sometimes leads to other blogs. Education is important too. I have quite a few of the various classic books, including WCI’s contribution, but I still get value out of checking myself against the discussion – whether or not I comment. I recently switched from a traditional financial advisor where I never see a bill or invoice for his services, to a fee based advisor from the WCI list. The new guy seems to really know his stuff, but he charges $3600 a year. Does that seem excessive? $3600 a year could really add up if invested over 25 years in index funds!!! If it’s not excessive, that’s great, but I definitely have some “sticker shock” after never having seen a bill from my previous advisor. I’ve been told to use a fee only, hourly rate advisor by some of my DIY colleagues. Remember fee-based isn’t fee-only advisor. If you got the advisor off my list, I’m pretty sure they’re fee-only. $3600/year is a steal. If you don’t want to pay that much, you need to learn how to do it yourself. Seriously, the going rate for advice is $1000-$10,000 a year and lots of docs are paying $20-50K. Have an IRA qsn. Had a traditional IRA for a while with BrokerA. Then I recently I moved everything to Vanguard for simplicity. One of the stocks I had added dividends after I made the move. So I have ~$30 cash sitting in BrokerA. I feel its a hassle to keeping an account for just that low amount. Should I just withdraw cash, close and pay penalty? How do I calculate the penalty? I am still contributing to IRA at Vanguard everyear. Couid just add extra $30 to Vanguard? You can do a rollover (either a direct transfer or taking the money and then contributing it at Vanguard) or you can take it, cash it out, pay the penalty and move forward. Either is reasonable. For reasons I have never understood, people like to hear that the world is going to hell.